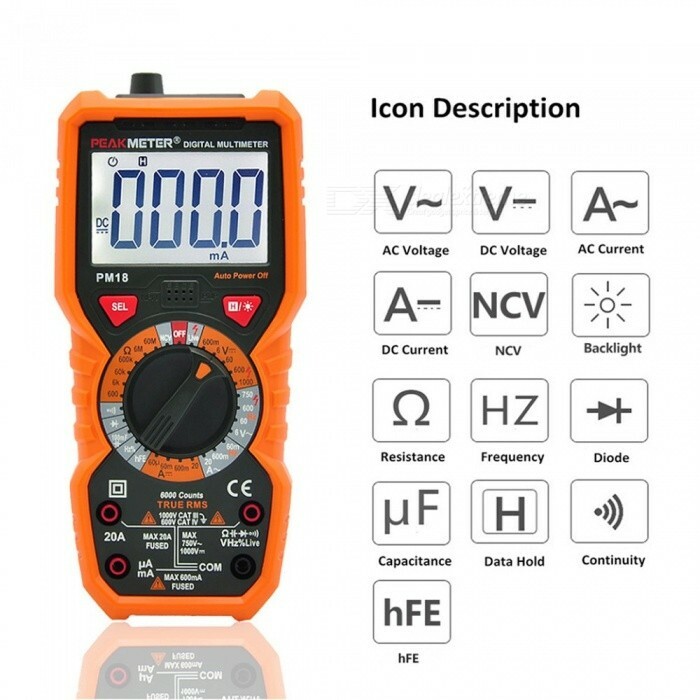 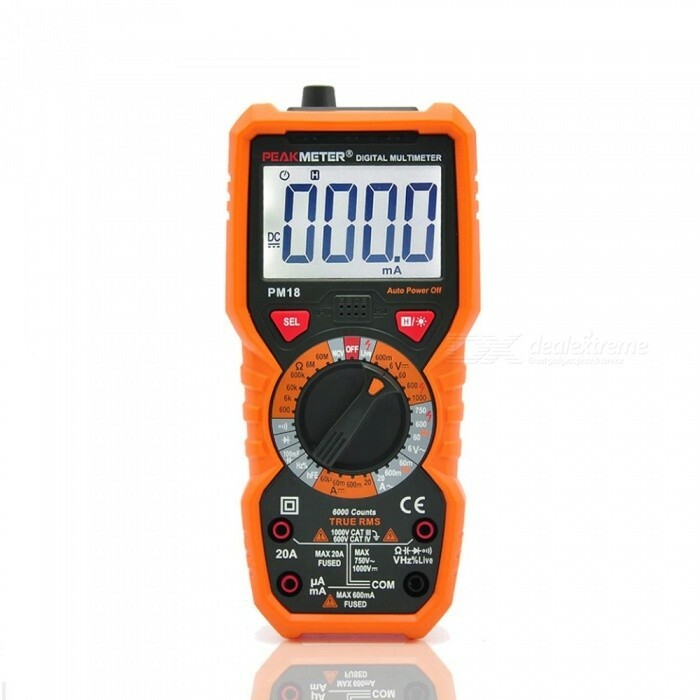 Can measure AC/DC voltage, current, resistance, capacitance, frequency, duty ratio. 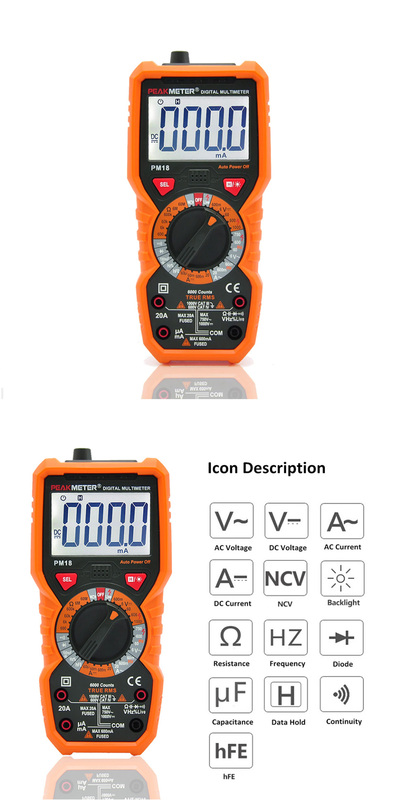 Also can test NCV(non-contact voltage), live line, diode, transistor and continuity. 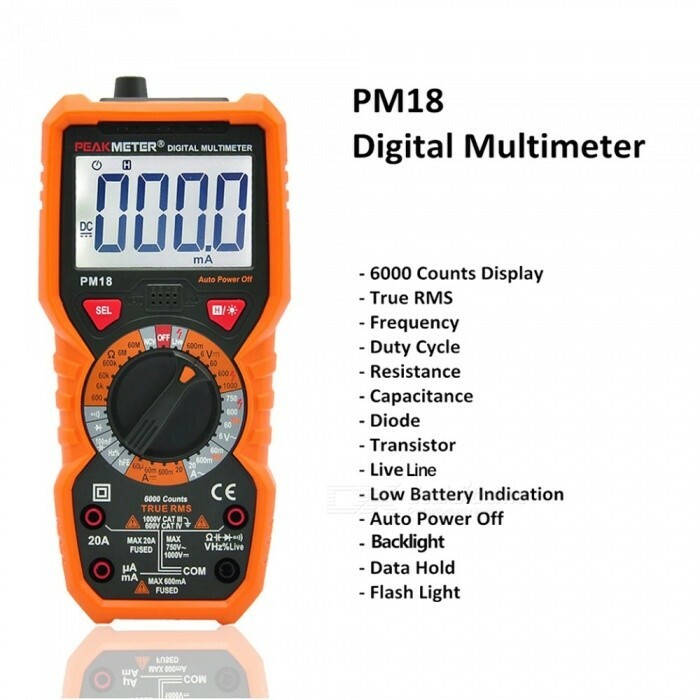 PM18C is specially designed with temperature measurement function. 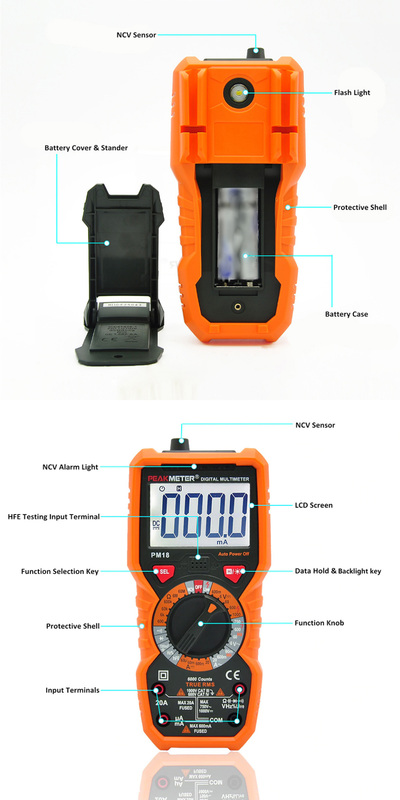 Data hold function, "SEL" key for some functions selection. 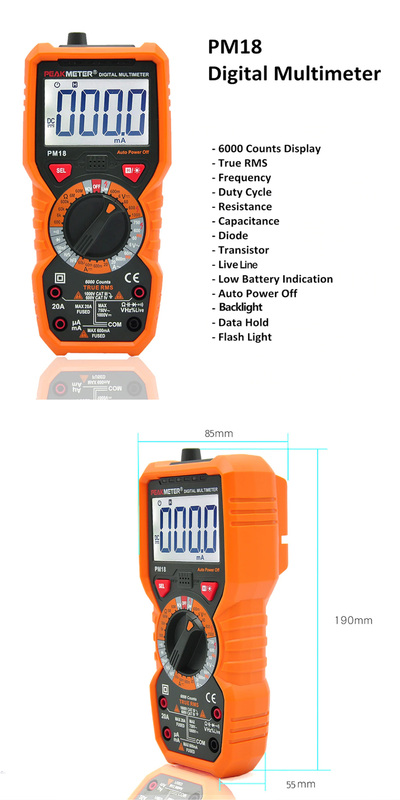 LCD display with backlight and lighting, convenient to use. 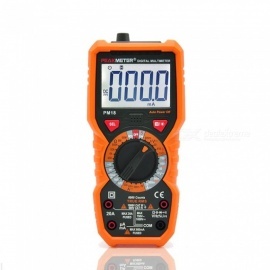 Powered by 4 batteries(not included).